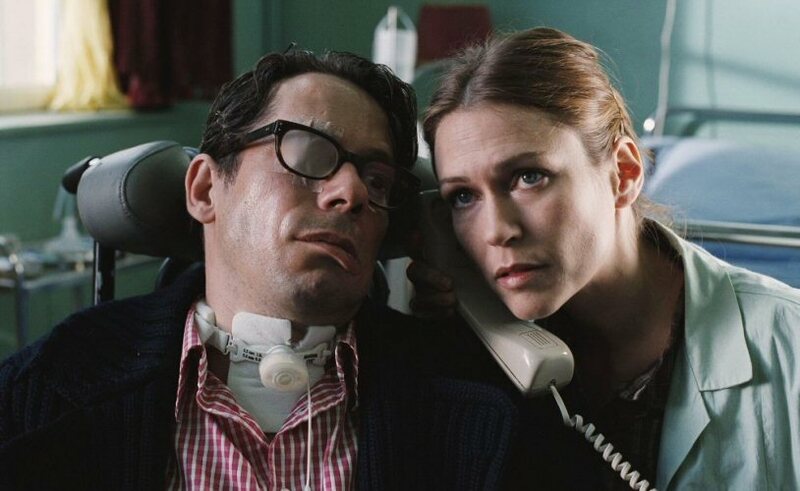 Jean-Dominique Bauby’s eyelid-blinking account of Locked-in Syndrome had us all quivering at the thought of being blindsided, as he was, at the peak of his career, on some banal afternoon outing. One moment you’re in charge, the next, you’re a living, conscious cadaver, entirely at the mercy of your family (if you’re lucky), the state (inevitably), and, you’re very unlucky, the police. This is humanity at its most pinched and wretched, one might have thought more in need of the arsenal of human rights than any other situation. But all the big guns are elsewhere, it seems. We have the political stand-off in the Bill of Rights Commission, and all the other noisy controversial products of the human rights industry, welfare, asylum, crime, deportation, prisoner rights and press freedom. In the meanwhile, a much quieter, but much starker drama unfolds in the wake of Pretty , Purdy et al. Now we have Tony Nicklinson, whose case takes human rights ideology back to its roots: a person with his back against a wall. What I object to is having my right to choose taken away from me after I had been saved. It seems to me that if my right to choose life or death at the time of initial crisis is reasonably taken away it is only fair to have the right to choose back when one gets over the initial crisis and have time to reflect. So, after a long battle for public funding, he is seeking the help of the courts to get him out of the “sentence of live imprisonment”, to which the current law subjects him. His efforts to get the law changed, by seeking declarations from a judge in court who is able to consider the matter at the sharp end, unlike a parliamentary motion, will be the ultimate test of the Human Rights Act, and its impact on private, individual lives. Mr Nicklinson’s efforts to seek may or may not avail him personally, but whatever happens in the main hearing, these arguments vastly enhance the usefulness of the law to people stuck in this strange medical gulag. i) that it would not be unlawful, on the grounds of necessity, for his GP, or another doctor, to terminate or assist the termination of his life. ii) that the current law of murder and/or of assisted suicide is incompatible with his right to respect for private life under Article 8, contrary to sections 1 and 6 Human Rights Act 1998, in so far as it criminalises voluntary active euthanasia and/or assisted suicide. iii) that existing domestic law and practice fail adequately to regulate the practice of active euthanasia (both voluntary and involuntary), in breach of Article 2.
why should I be denied a right, the right to die of my own choosing when able-bodied people have that right and only my disability prevents me from exercising that right? The law on murder and assisted suicide means that at present, Mr Nicholson cannot call on the assistance of anybody, however close, to end his suffering. Because he cannot move, he needs positive action of a doctor in controlled circumstances that had been sanctioned by the court. That clinic in Switzerland is beyond his reach. Charles J is very encouraging in finding that the common law will provide a route through this ethical thicket. He thought not only that the claimant had made a case for his “common law rights of self-determination and dignity”, but that he’d also been persuaded that Mr Nicklinson’s Article 8 were engaged. This of course was critical in determining the defences available to a doctor to charges of murder or assisted suicide. This is good news indeed. I am delighted that we can now move on to discuss the pertinent issues properly in a dispassionate court of law instead of the emotionally charged glare of the media. This is a very sad & difficult issue, I have never worked with Locked-In Syndrome but in my professional life as a neuropsychologist I have worked with people in a Persistent Vegetative State, (PVS). I appreciate the difference in that Mr Nicklinson is presumed competent, and, sadly, will not recover, whereas, at our current stage of scientific knowledge we cannot know if a patient with PSV will recover to a degree to be considered competent. The Tony Bland case was a milestone in PVS and helped to clarify the Law on the ending of life. It is to be hoped that Mr Nicklinson’s case will be a similar milestone. It is indeed worthy that the arguments should be examined dispassionately by the Court, however, given it’s importance, it is my opinion that it needs to go before Parliament to ensure that an change in the Law is fully debated and, most importantly, scrutinized.